Western (shown) and Eastern spotted skunks are the smallest of the nine species of skunks in North America. Shy and gentle may not be the qualities that come to mind when you think of skunks. More likely, you’re thinking about their noxious musk spray, or maybe wondering how to trap a skunk. But there’s much more to know about skunks than this. Common, yet seldom seen, these small mammals are versatile and important members of the ecosystems in which they live—yes, even in your own community. 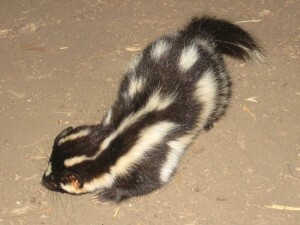 Five of the nine skunk species are found in North America—the Western Spotted, Eastern Spotted, Striped, Hooded, and White-backed Hog-nosed. The latter is the largest—some weigh as much as 10 pounds. Striped and Hooded are somewhat smaller, while the smallest of the species, the Western Spotted and Eastern Spotted, typically weigh about 8-31 ounces. Variations in fur patterning typify each species, but all have black and white fur, which serves as a warning signal to most animals. Many dogs didn’t get the memo on this, and some fail to remember past mishaps with skunks—or simply find them too irresistible not to chase again. In any case, skunks are definitely eye-catching, bushy of tail, and fascinating to watch. 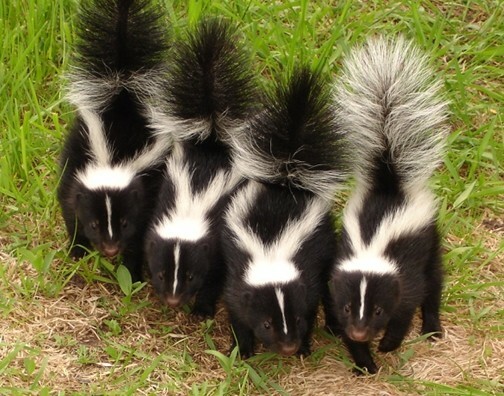 When they are about two months old, mother skunks will introduce their young to the ways and wilds of the world. Skunks are nomadic creatures, roaming their home ranges mostly at night, and mostly alone, except for moms with their young. They stay inside their dens during extreme cold spells. Most of the roaming is about the same thing that sends you to the kitchen at all hours—rustling up vittles! Pretty much anything small enough for them to catch or consume is on their menu: mice, eggs, insects, wild plants and fruits, garden veggies, and even carrion. They breed in late winter or early spring, and 3-10 young are typically born from late April through early June. After tending to their young within the den for about 2 months, moms lead them out to show them how to avoid predators and find food. Skunks are very fair; they give a warning to show that they feel threatened before they consider spraying. 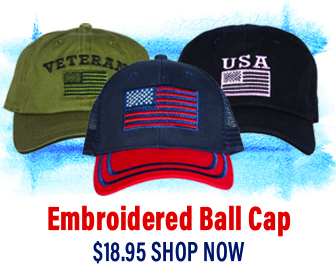 Typical warnings include bluff charges, stamping of the front feet, hissing, and aiming the tail end toward you. This gives the potential “attacker” time to slowly back off. (Unfortunately, dogs don’t heed this warning and often get sprayed, but people do tend to abide by the warning which is why they don’t get spritzed.) 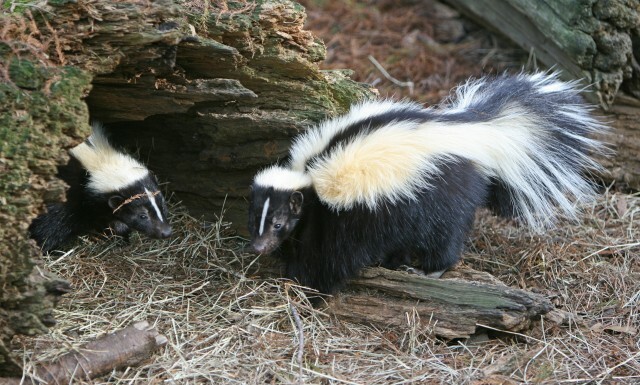 Because they can’t recharge very fast, skunks only spray when they absolutely need to—to defend themselves. Although perfectly capable of digging their own burrows, skunks will den in a variety of other places including hollow logs or stumps. Skunks are not only capable burrow diggers, but also take shelter in woodchuck burrows, hollow logs, wood or rock piles, rock crevices, brush piles, and stumps. Any given shelter is only used briefly before moving on, due to their nomadic nature. Skunks mostly dwell alone, except for moms with young. However, multiple females sometimes hunker down together for brief or long spells in cold weather. By consuming a wide variety of insects and small rodents that people view as pests, skunks perform free “pest control.” By eating carrion they help with decomposition, and the seeds they eat aid in the dispersal of plants. And, skunks even serve as prey for a few select animals like great horned owls, red tail hawks, and eagles. Though skunks prefer to avoid people and their pets, they may find their way into your yard, seeking grubs beneath your grass or shelter beneath your deck, porch, or shed. However, trapping a skunk is counter-productive and unnecessary; due to their nomadic tendency, skunks usually move along fairly soon. When people trap them in spring or summer, helpless babies are left behind. This creates an even bigger problem for the hapless homeowner when they start to follow people or dogs, trying to find anything that will nurse of feed them. If the babies starve to death under decks, the horrid smell and flies can create an unbearable situation. While skunk trapping is almost never needed or appropriate, click here for practical tips on how to discourage skunks from loitering where you may not want them. Hey Buddy!, I found this information for you: "Skunks and Their Natural History". Here is the website link: https://effectivewildlifesolutions.com/skunks-and-their-natural-history/. Thank you.